Fresh. Yellow apples, green pears, summer meadow. Some sand and dry earth. Sawdust. Roses, tulips. Bright cake dough. Sweetish, spicy. Light honey, cornflakes, chili. Milk chocolate, lemon sorbet with a hint of mint. A trace of licorice, old paper. Dry white wine. Arf ... if all the rest was on par with the nose, we'd have a killer. Excellent nose with a very Lowlands-like profile. Fresh apple juice, good acetone-y touches, blue chewing-gum (the very acidic, berry-like ones), green melon. Big citrusy notes as well with lime mostly, and subtler things like lilac and champagne develop later on. I adored that very fresh nose, close to some of the recent good Bladnochs. Sadly, there's the rub. Losing much of its fruitiness and freshness, it now feels like a real 31yo ... but not for the good reasons : big, big oak notes, plankish, astringent. Rather green oak than over-infused-tea oak but still, difficult. Bitter oranges and fern manage to find a way through if you pay attention. Slightly better than this oaky palate but still not on par with the nose though. Some Ice Tea Peach but over-infused (now that's the tea-ish kind of oak), some pot pourri and dried flowers ... and vegetal bitterness in the end, like wakame maybe ? Not that bad, it's more tolerable than the palate. 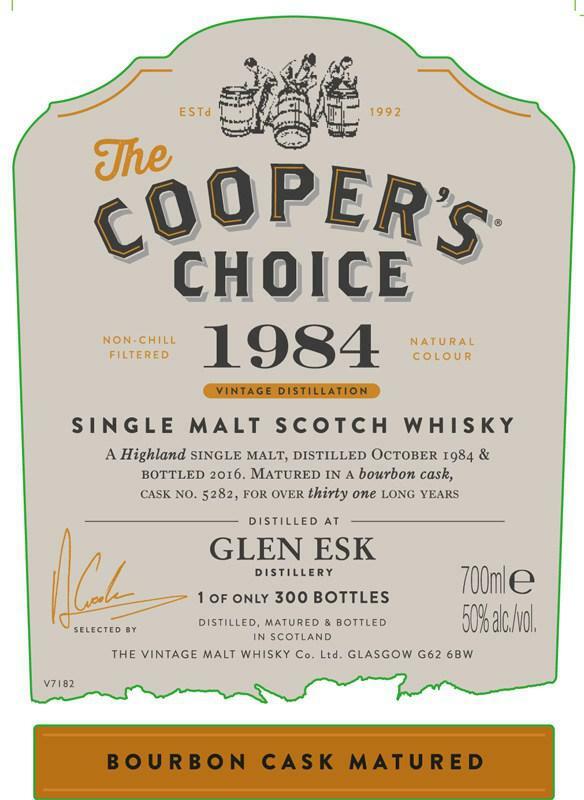 As for the previous Glenesk (in November 2015), I find this profile very classic, very monolithic and not complex at all for a whisky of this age. I find it is much younger than its actual age. Dry lemon, yellow apple, honeys. The lemon / apple mixture is persistent and well present. 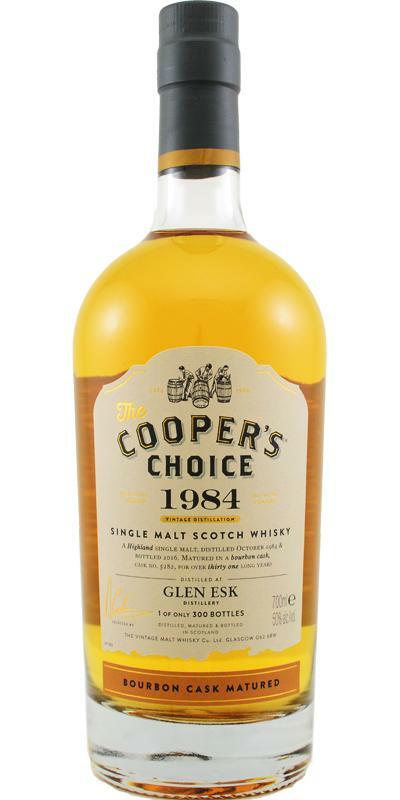 In the continuity of the nose, full in lemon syrup mixed with ripe yellow apple. A growing acidulous appears as the dram. Average. A few sweet spices, lemon drought returns, persists, and even grows; while the lemon is dying.